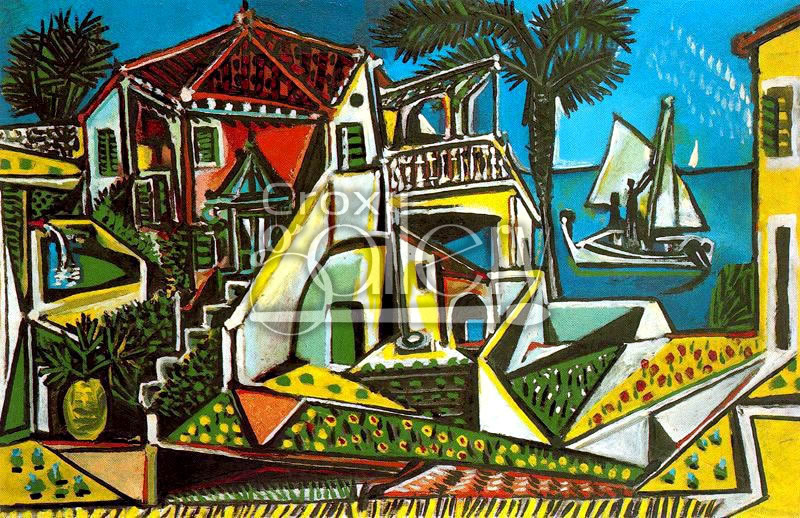 "Mediterranean Landscape" by Picasso, Oil Painting Reproduction. 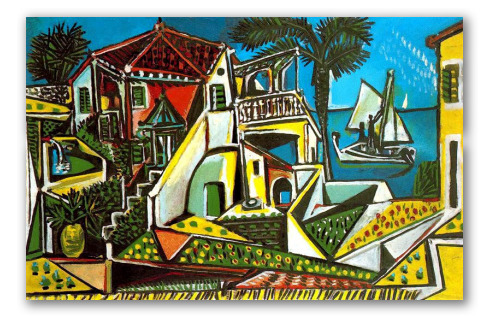 This brightly colored painting shows Pablo Picasso's precise image of the wonderful and lovely Mediterranean landscape. The main purpose of this painting is to display the culture of the sea and all the things that surround it.